Investing for retirement is an activity that carries enormous risk, especially when you put your money into traditional assets like stocks and bonds. You have to trust that the companies (and CEOs) you invest in will make good decisions and continue to prosper for the next few decades, and that the global economy as a whole will survive despite political unrest, military conflict, and market crashes. Even putting your money in a basic savings account doesn’t protect you from risks such as inflation, which eats away at your purchasing power. As a tangible asset, gold is able to maintain its purchasing power to a far greater degree than any paper currency. A hundred years ago, an ounce of gold or $20 in paper currency could get you a good quality man’s suit. Today, that same ounce of gold can still get you a nice suit, but you’d have to part with far more than $20 in paper currency thanks to inflation. Putting all your investment dollars into a single asset class like stocks, bonds, or mutual funds is a catastrophe waiting to happen. All it would take is one market crash or an extended downturn to wipe you out. Converting a percentage of your retirement portfolio into gold gives you the diversification required to protect against market instability. In addition to its’ being the safe haven against all financial asset classes, thanks to its industrial and technology applications as well as its use in jewelry, gold will always be in demand. This high demand coupled with relative scarcity serves to drive up the spot price, which means there’s tremendous growth potential for investors who add gold to IRAs. When taking these benefits into account, it’s easy to see how gold can help you achieve your retirement goals more effectively than stocks, bonds, and other investments. 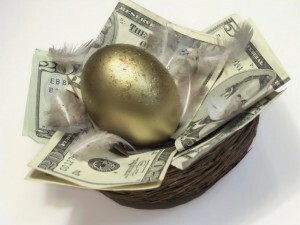 If you’d like to add gold to your IRA, go to AmericanBullion.com now to find out how.